6. בְּשָׁעָה שֶׁיּוֹרֵד הַלַּיְלָה וְהַשְּׁעָרִים נִסְתָּמִים, מִתְעוֹרֵר נֶקֶב תְּהוֹם רַבָּה, וְכַמָּה קְבוּצוֹת שֶׁל מְחַבְּלִים נִמְצָאִים בָּעוֹלָם. אָז מַפִּיל הַקָּדוֹשׁ בָּרוּךְ הוּא שֵׁנָה עַל כָּל בְּנֵי הָעוֹלָם, וַאֲפִלּוּ עַל כָּל שֶׁבָּהֶם הִתְעוֹרְרוּת שֶׁל חַיִּים, וְהֵם מְשׁוֹטְטִים בָּעוֹלָם וּמוֹדִיעִים לִבְנֵי אָדָם דְּבָרִים, מֵהֶם כּוֹזְבִים וּמֵהֶם אֱמֶת, וּבְנֵי אָדָם קְשׁוּרִים בְּשֵׁנָה. 7. כְּשֶׁמִּתְעוֹרֶרֶת רוּחַ צָפוֹן וְנֶחֱלָק הַלַּיְלָה, הַשַּׁלְהֶבֶת יוֹצֵאת וּמַכָּה תַּחַת כַּנְפֵי הַתַּרְנְגוֹל, וְהוּא קוֹרֵא, וְהַקָּדוֹשׁ בָּרוּךְ הוּא נִכְנָס לְגַן עֵדֶן לְהִשְׁתַּעֲשֵׁעַ עִם הַצַּדִּיקִים. וְאָז הַכָּרוֹז יוֹצֵא וְקוֹרֵא, וְכָל בְּנֵי הָעוֹלָם מִתְעוֹרְרִים בְּמִטּוֹתֵיהֶם. אוֹתָם שֶׁיֵּשׁ בָּהֶם הִתְעוֹרְרוּת שֶׁל חַיִּים, עוֹמְדִים לַעֲבוֹדַת רִבּוֹנָם וְעוֹסְקִים בַּתּוֹרָה וּבְשִׁבְחוֹ שֶׁל הַקָּדוֹשׁ בָּרוּךְ הוּא עַד שֶׁבָּא הַבֹּקֶר. 8. כְּשֶׁבָּא הַבֹּקֶר, (כָּרוֹז קוֹרֵא וְכָל) כָּל הַחֲיָלוֹת וְהַמַּחֲנוֹת שֶׁלְּמַעְלָה מְשַׁבְּחִים אֶת הַקָּדוֹשׁ בָּרוּךְ הוּא. זֶהוּ שֶׁכָּתוּב (איוב לח) בְּרָן יַחַד כּוֹכְבֵי בֹקֶר וְגוֹ’. אָז כַּמָּה שְׁעָרִים נִפְתָּחִים לְכָל הַצְּדָדִים, וְהַשַּׁעַר שֶׁל אַבְרָהָם נִפְתָּח לִכְנֶסֶת יִשְׂרָאֵל לְזַמֵּן אֶת כָּל בְּנֵי הָעוֹלָם. זֶהוּ שֶׁכָּתוּב וַיִּטַּע אֵשֶׁל בִּבְאֵר שָׁבַע. This tiny expression made a disconnection from God and the result was an extended stay of two years in prison. Genesis 40:23 “Yet the chief cupbearer did not remember Joseph, but forgot him”. We learn from this example and others in the Torah, how the words we use become tools in our correction. Joseph asked to be remembered and was forgotten. The words of God is the only method to cleanse our negativity and impurity. Joseph had to wait for God’s cleansing process. The body is the tabernacle for the soul that comes from the Light. All impurities affect the soul and we should separate ourselves from it because otherwise the soul must be separated from the body and experience death in the material and spiritual levels. In the portion of Tazria we read about the leprosy that comes to a person and also to a house, the dwelling of people. God put the leprosy himself (Leviticus 14:34) “and I put the plague of leprosy in a house of the land of your possession”. The owner of the house goes to the Priest and tells him about the plague. The priest follows a process that could end up with destruction of the house and replacing all the building elements. Rabbi Elazar gives the deep explanation and says that when the people connect to impurities, judgments come to the world. He quotes his father and reveals that when God wants to cleans the house, which is the aspect of Malchut and our vessels, he sends leprosy, which is a visible aspect of impurity, as a plague to expose the impurity. The judgment force removes the impurity and stays in control until the house is broken down to its basic elements. The world is in a serious state of impurity that reaches the 50th gate of impurity. God will not allow the system of impurity to corrupt the entire system and the process of cleansing will start with some kind of plagues. The prophets Ezekiel and Zechariah prophesied about the dark period. During that time two thirds of humanity may lose their lives. The last third will go through a cleansing process to ‘polish’ the light in them before rewarding them with having presence in the Final Redemption and/or be included in the resurrection. Many astrologers report on special cosmic event that will happen in a couple of weeks. I usually don’t give attention to astrologers’ predictions or respond to them because people with connection to the Zohar are not slaves to the Zodiac. It exists to help us navigate through life but it’s just a tool. We are not governed by it. The sages tells us that lunar eclipse brings harm to those who hate Israel. Red moon brings the aspect of war to the world. It is important for all of you to understand that if chaos begins and you lose the trust in the Light, you create a disconnection like Joseph did. We are not Joseph, so for us it is about life and death. I personally don’t see calamities that others predict. I believe that the presence of the Zohar in the world brings mercy and sweetens judgments. The world is already in chaos and may experience greater chaos but those who are students of the Zohar will be protected. It’s never too late to start a daily connection to the Zohar. The Daily Zohar brings you the minimum daily connection but each one of you should make more efforts to read and study more. Joining others for group meditation is good but not enough. http://UnityZohar.com is a great source to read Zohar in unity. It increases the value of the individual reading or scanning. The Zohar is promised to be as Noah’s Ark in the days of the Flood. The only difference now is that there are no limits to the number of people that could be saved. In fact, the more you help save, the more you earn your place under the protection of the Zohar. 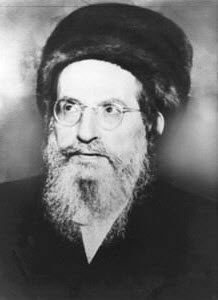 The Ramchal, רמח”ל, who was a great Kabbalist, told his students to keep continuous shifts of Zohar study around the clock in order to keep peace and eliminate decrees. The Ramchal and other kabbalists didn’t care for the story of the stars. Each visitor and reader of the UnityZohar.com becomes part of continuous study of the Zohar because each visitor continues reading the Zohar from the place the previous visitor left. Many thousands connect to the Unity Zohar but not as frequent as they should. We need more people to join the cycles so we can have continuous and unstoppable Zohar reading around the clock and around the world. To go above the influence of the Zodiac, you should use the elevation tool, that is the Zohar.